No adoring Grandma and Grandpa took a turn to snip off a bit of his sweet, little curls. There was no hair to sweep up from the floor. No peyos (sidelocks) adorned his little face. But there was a yarmulke and tzitzis and there was joy. The family celebrated his upsherin (celebration of first haircut) , his first milestone, with joy, with hope and with prayer that there would be many more milestones to celebrate in the future. There hadn’t been much joy in the family lately. Their tiny son has been battling cancer. 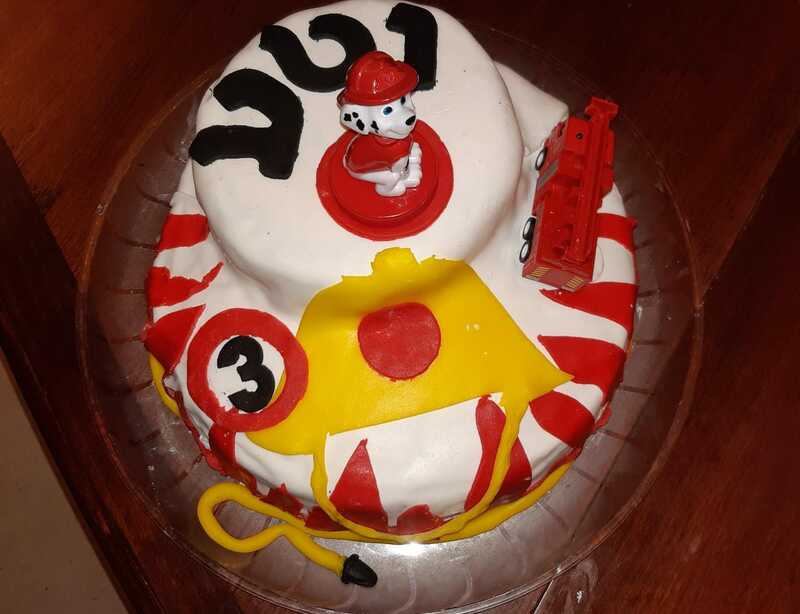 There was no emotional strength to create a celebration when he turned three but, oh how badly they needed some light and happiness in their lives. It would do wonders for their spirits. It would put a smile on the child’s forlorn, little face, something that hadn’t been there in so long. It would give them strength to continue the battle. And so word was sent out to the members of Ezer Mizion’s Linked to Life network. “Could anyone help with the logistics of setting up an upsherin for a 3-year-old boy with cancer?” G-d must have been so proud of His children. 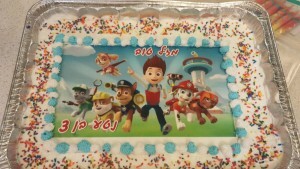 Every detail was taken care of by L2L members including not one but two cakes for our wide-eyed little hero. It’s amazing how much warmth and love there is in this wonderful group, how much drive to give, to embrace, and to pamper. We cannot cure the illness, but we can certainly support and bring relief and hope to a patient and family as was done to a young mother, a cancer patient, who has been living in dread of leaving her small children to grow up as orphans. Her birthday was coming up. Ezer Mizion knew the family needed a lift and contacted the Linked to Life division to create a happening. In just thirty minutes an event was put together that can put even the most exclusive catering establishment to shame! 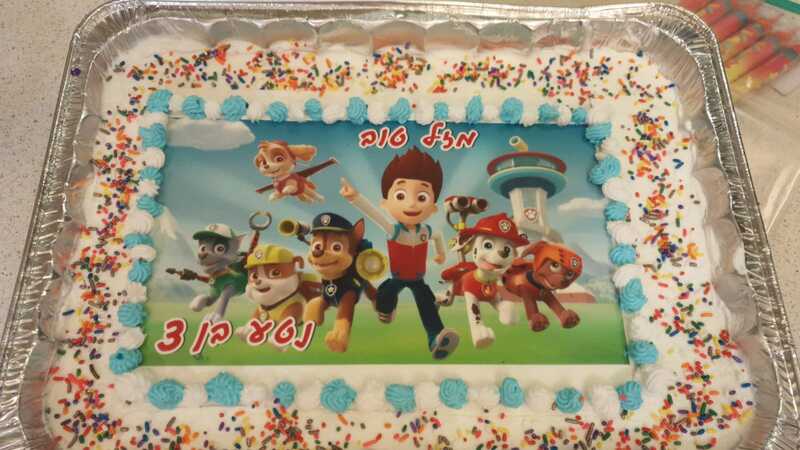 Ricky, Sara, Goldie, Bracha, Rachel, Rochi and Tova offered to bake cakes. Racheli F., Racheli E. and Sari will create salads. Nechami, Yehudis, Chasi, Tamar and Atara put themselves in charge of kugels. The replies kept coming. Pupah and Hodaya the pasta and Shani, La’el, Penina and Sora the drinks. Tammy, Esther, Debbie, Ruti- the sweet table and Shulamis- the fruit platter. Shani, Yael and Hadaar will do the disposable, the flowers and the gift. Only someone that was there could fathom the electrifying atmosphere of happiness that brought a boost of encouragement to a distraught family. Linked to Life is a chessed empire on wheels, the brilliant Israeli invention of the millennium, a unique innovation that combines chessed and social media for the benefit of others. It is my honor and pride to be a partner in this tremendous, special international chessed project. The worldwide chessed organization of Ezer Mizion, in addition to its countless divisions, branches, and wonderful work on behalf of every individual facing any kind of health challenge, has taken a giant step forward in their mission to help others: It established an amazing, gigantic chessed network known as Linked to Life, a mobile chessed program that operates dozens of What’s App groups a day, linked up by wireless connection to tens of thousands of special people, all of whom are at the ready for any call or request regarding a medical need. That includes: Providing a lift to hospitals, delivering medical documents from abroad to Israel, transferring blood samples and tests from Israel to overseas, delivering hot meals to the homes of their needy recipients. Thousands of people of chessed are partners in this undertaking, linked up to help give people life. The way I see it, Ezer Mizion Linked to Life project is Israel’s most unique national product.